We will help you find the best fit for your specific needs and explain how different lenses and frames will impact your vision. We will help you narrow down your choices so you can find the look, fit and functionality you want from your eyewear. We offer a large selection of eyeglasses, designer frames, sunglasses, safety glasses and riding glasses. We carry contemporary eyewear collections in a variety of styles, colors and materials including titanium, stainless steel and plastic – in full frame, rimless and drilled rimless styles. New clients and all our current patients are welcome to visit us with their current prescription – no appointment necessary. We try to make the process of selecting new eyewear fun – not stressful! Not into the latest look in fashion- chunky, bold and colorful? That is okay because we have a wide variety of styles available - from contemporary to traditional - from bold to invisible..... We carry a large variety of frames ...stylish shapes, materials and colors to classic styles - in the newest plastics, metals, and titanium. Frames are more than a necessity - they are functional jewelry! We offer titanium drilled (no frame) styles from a number of companies, including Silhouette, Charmant and Seiko. And color...no one does it better than Kliik, Fysh, OGI, Brillen - and iGreen. (iGreen frames are extremely lightweight, flexible and durable. And colorful! You can select a frame shape and the color/design of your choice for the front and sides from hundreds of choices - and you will have a frame customized & designed by you for you! The temples are interchangeable , so you can purchase extras and change the look!) We carry Aspex and Revolution frames - all have magnetic polarized sunclips with the frame! Function and fashion! And speaking of sunglasses, we have a selection of sunglasses frames ready for prescription lenses - or without prescription. We are proud to offer Maui Jim Sunglasses - the best of the best. 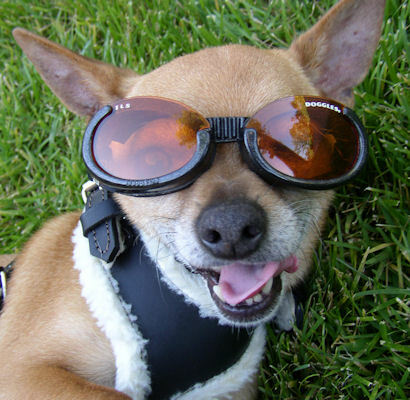 Need a pair of sunglasses to fit over your current glasses - we got 'em! Stylish and functional in colors - even a little bling! Flying Pig Eyewear was created by Wayne Optical for the motorcycle rider. Good clear (no tears!) vision is one of the most important safety factors to a rider. We have a selection from WileyX, Liberty, 7 Eye and Nannini - in addition to some styles of our own. Some frames have removable foam inserts allowing the versatility to wear them as regular sunglasses too. We pride ourselves in being able to accomodate prescriptions others turn away! Whether or not you require vision correction, sunglasses can add an element of comfort and enhanced performance to your activities, while helping you look great. We have fashion sunglasses that not only look good but offer protection from the sun's damaging rays. We are proud to offer Maui Jim Sunwear - the best of the best! We will discuss what is best for you, polarized. photochromic, brown lenses, grey lenses - you have a lot of choices in today's sunglass market! VANTAGE - Polarized Transitions® Lenses!! !